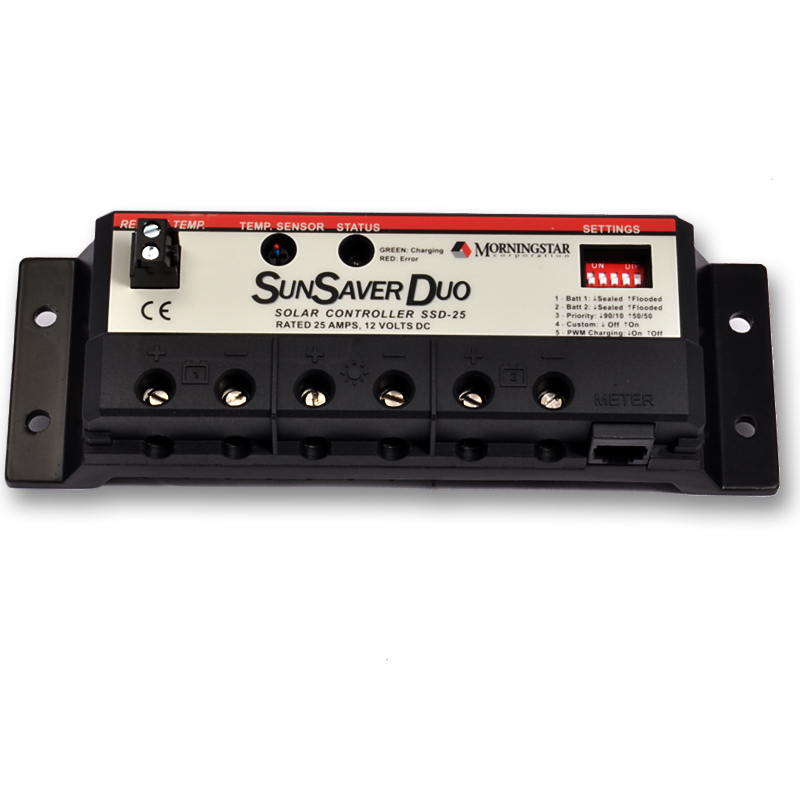 Solar charge controllers help in protecting batteries from overcharge and excessive discharge. The controller assures that the battery is charged fully and keeps it that way without causing damage to the battery. A basic solar charge controller will monitor the battery voltage, open the circuit and then stop charging when the voltage rises to a given level. The modern solar charge controllers use pulse width modulation (PWM) which gradually lowers the amount of power as the batteries get closer to being fully charged. The battery is charged with lesser stress thus prolonging the battery life. PWM has no mechanical connections that need to be broken although it’s quite complex. The newer version of solar charge controllers is the Maximum Power Point Tracking (MPPT) that converts excess voltage into amperage. This ensures that the charge voltage is kept at an optimal level while the time needed to completely charge the battery is reduced. MPPT also helps to reduce power loss and preventing reverse current flow. When choosing a solar charge controller there are various factors one should look out for. First is the operating voltage and its rated current. A good solar charge controller should be able to handle the rated current of different panels combined. The other point of consideration is whether an indicator is required (to show how the charge controller and the solar panel are working) or a meter which will display the charging current and battery voltage. Morningstar solar Charge Controllers are made to specifically meet the needs of the rural solar home systems especially in the developing countries. General features of this product include accurate voltage and current display, weatherproof, longer battery life and remote temperature sensor. “It’s cheap and reliable” says Brian from Austin (September 12, 2008). Blue Sky solar Charge Controllers are MPPT type photovoltaic controllers which can serve as 20 amp load controller, they have an automatic /manual equalize function to offer periodic condition flooded lead-acid batteries. “They are cost effective” commented D. Muirhead (Jamaica) on June 8, 2009. 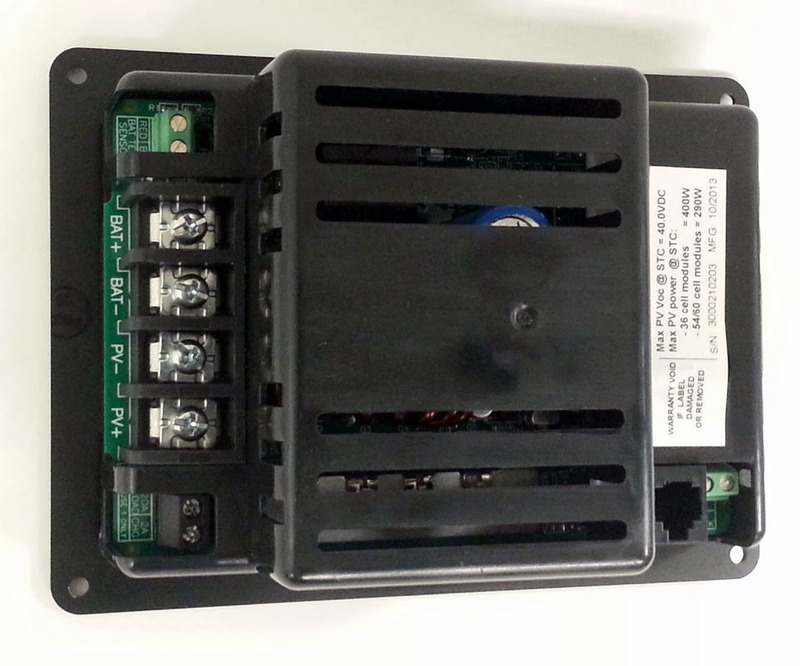 Shunt-mode Solar Charge Controllers use the MPPT technology where a series of regulators are used to control the charging current by interrupting the current flow to the battery when the voltage reaches a certain preset level. The solar panel is connected permanently to a battery through a series diode. Features of this charge controller include battery capacity of 0.1 to 50 Amps hours, solar short circuit current of 0-1 Amp.